Amazon Kindle*. I already own one. It's 1st Generation. It has a nice little slot for a memory card. The new ones don't. There is really no good reason I want to replace it other than it's out of date. Droid X phone. I have a Droid already. Again, 1st Gen...I gotta quit early adopting! an L-Shaped couch. We had to move around some furniture to put the tree by the street-side window. So now we have a chair with an ottoman at a right-angle with the couch. There's the empty corner where we have a sad little side table, but the setup really would be great - IF we had the right couch. So, for now, it's the Clampet's version, and probably for several more years until the wee ones get older. A flat screen tv for the playroom. It won't be the playroom forever...right? Besides, where else can we play Kinect? All completely frivolous ideas. None needed. None practical. So, there Santa (if you're listening) there's my TRUE Christmas Wish List, world peace not included. *Aside - I think I have entered every contest I can think of to win either of these items. ﻿is not always what a business needs. Anyone working on or with a Development Team understands there are communication barriers. Like the story of the three blind men describing an elephant, each person has their own perspective on what it is they 'want'. If I have learned anything at all over the years, it's that people (departments) often want things, but they either a) don't understand how to ask for it or b) refuse to listen to other ideas. A great example is a project I was once handed where an entire process was laid out t-sql. A nightly process would run; a flat file would be generated; a proc would massage the data to a database table; another proc would remove any data that wasn't needed and then copy the data to an Access database on regional servers, which would in turn be copied to local user's machines. What did the business ask for: Make sure the copy process was working and delivering the database files in a timely manner. That is certainly NOT what the business needed! Fortunately, after several meetings and working with Sr. Management people, I was able to show sell them on a better way. This particular story has a happy ending, as the business got a stable process and a repeatable end product. Could I have given them what they 'wanted'? Sure. Would they have been happy with that? Maybe for a short time. Unfortunately, there are more unsuccessful than successful stories out there. Working with people from different perspectives on any project will surely lead to differences of opinion. The difficult part is to make sure someone is stepping up and verifying what they NEED and not just what they WANT. 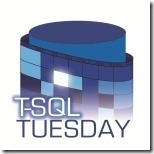 This T-SQL Tuesday topic has been brought to you at the prompting of Steve Jones (@Way0utwest | blog) and the T-SQL Tuesday project. It's a little late for a SQL PASS Summit 2010 recap, but I still wanted to share some of my experience from the event. I started thinking 'What drives passion'? What motivates any one person to get out there and spend their spare time working on things that may or may not come to fruition? Taking a look inward, I have to say that I never intended to do any of these things with any tangible goals in mind other than "bring people together". As to the question of Why? - honestly it was more the fact that I had a an opportunity to work with really fun people who wanted to do the same things I did - so, I took it. Maybe I just got lucky that those opportunities happened somewhat simultaneously. However, looking at it more realistically, each one grew out of another. Thank you to all the wonderful people I've met, worked with and studied from over this past year. You make it fun and worth doing! So, go now, find your PASSion and have fun, plus meet like-minded people along the way! You really can get back out of it, sometimes even greater than, what you put into it.